I'm not sure if this is the beginning of a trend or just a joyful moment of creativity, but either way I'll take it. Two thousand words on a story, plus another thousand on backstory/worldbuilding. Not something I can share just yet, but it's good to do something that makes me happy. 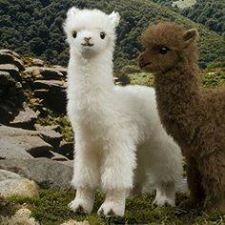 And now we celebrate with baby alpacas!